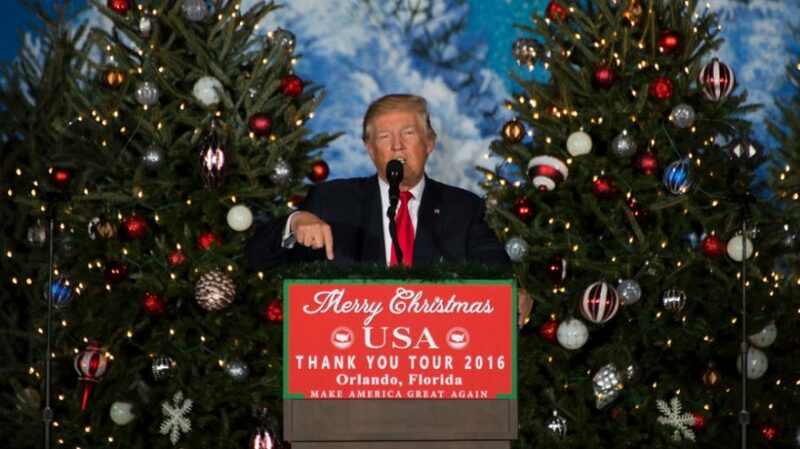 Last week, Donald Trump said that the U.S is broadening its influence in the world. However, it appears the exact opposite thing is happening as China is leading the world economically, Russia takes over the Syrian peace talks, and the United States stops to lead the fight against climate change. Donald Trump has been in the White House for over a year, and though he won promising to “make America great again,” it doesn’t seem like his actions are making it possible. Contrary to what he has expressed, diplomats, policymakers, and expert on international affairs consider that the U.S has reduced its influence on the world and that its foreign policy has been altered in ways that are not constructive since Trump became president. Is there a coherent foreign policy in the United States? Trump has changed a lot of things since he arrived in the Oval Office. Some changes have been so drastic that he has altered the foreign policy the U.S kept for decades. One of these cases is the one regarding the U.S position in the conflict between Palestine and Israel. Though the U.S has always been closer to Israel, it never recognized Jerusalem as the capital of any of these States. It all changed a few weeks ago when Trump said that the U.S embassy in Israel was to be moved from Tel Aviv to Jerusalem, recognizing thus its sovereignty over the sacred city. This action has produced all kind of reactions from the international community that reject the U.S decision. As the world is against the United States on this matter, some leaders have said that the United States cannot continue to be a mediator in the conflict, since it is clearly biased. This obviously affects the influence the U.S could have in the Middle East. In the United Nations General Assembly, most of the 193 Member States – including U.S allies – voted against the United States decision on Jerusalem, despite the threats made by this country’s representatives to the United Nations. A clear diplomatic defeat. On the other hand, its position has lost importance in the Syrian conflict, something that Trump criticized about Obama’s administration. Russia is now leading the peace talks. As well, Trump has been severely criticized for its new relations with Russia. Trump refuses to adopt a different position as that of Vladimir Putin. This represents a massive alteration from its historical relationship with Russia, which was difficult for most of the 20th century. Donald Trump is deteriorating U.S relations with important allies. Image Credit: Business Insider. Trump is known for its unpredictability. Maybe he is trying to reshape the way the United States is seen worldwide; however, he doesn’t seem to be taking the right moves. His traditional partners wonder if the United States continues to be a reliable partner under the Trump administration. Some might think that Trump is only isolating the United States from the world problems. However, not leading the fight against the problems of the world – such as the refugee problem or the climate change – is clearly a disadvantage for the United States that keeps losing importance. Trump keeps making it easier for other states to move the balance of power in their favor. Additionally, Trump continues to mark a distance from NATO, an alliance the U.S always promoted. The United States relations with important countries – that were traditional allies – are being deteriorated. 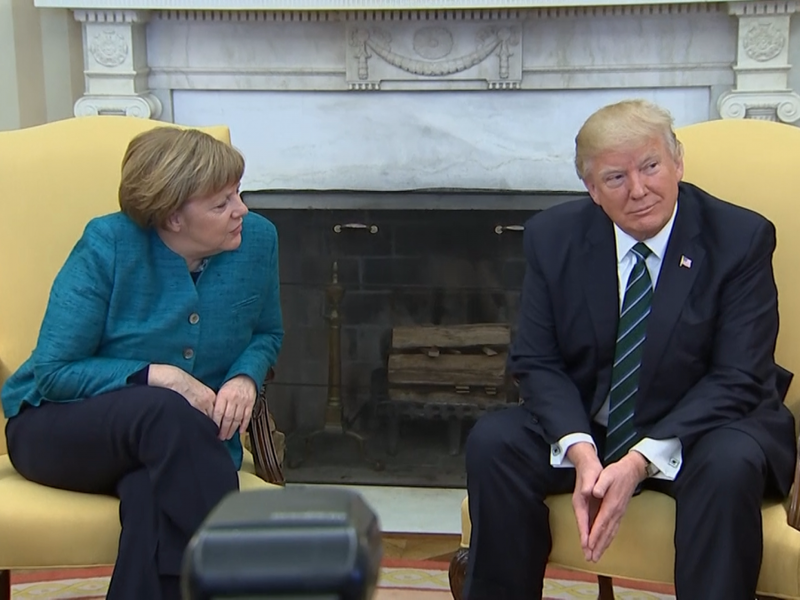 Trump has taken little care of the relations with German Chancellor, Angela Merkel or with British Prime Minister Theresa May. Trump sees Europe as an economic competitor, instead of seeing it as a conglomerate of countries with relatively similar values, and as an ally to promote freedom and democracy. The U.S and the European vision of what the world should do are getting more different as Trumps refused to take actions to reduce climate change and refused to accept the entrance of refugees in the United States.